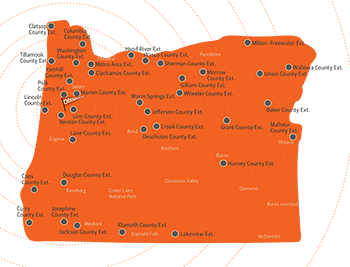 The Health Extension Run 2014 started July 7 from the Oregon State University campus in Corvallis. Check out the schedule below to follow along or join in when the run visits your county and/or Extension office. Fri, July 11 St. Helens ??? ??? Tues, July 22 Eugene ??? ??? Thurs, July 24 Roseburg ??? ??? Thurs, July 31 ??? ??? ??? Fri, Aug 1 ??? ??? ??? ??? Wed, Aug 6 ??? ??? ??? Thurs, Aug 7 ??? ??? ??? Sat, Aug 9 John Day ??? ??? Mon, Aug 11 Burns ??? ??? Tues, Aug 12 ??? ??? ??? Tues, Aug 19 LaGrande ??? ??? Thurs, Aug 21 Pendleton ??? ??? Wed, Sept 3 Salem ??? ??? © 2019 Health Extension Run 2014, all rights reserved.